It can be very frustrating when you’ve spend so much money on your sofa or chair and it doesn’t look so good as time passes by. Maybe you’re unaware that your new sofa should also be maintained just like your carpets and soft furnishings, But as we are all aware the more care we take of any thing the longer it will last and the better it will wear. Having a new sofa that reigns gloriously in your living room is a wonderful sight, especially if you have had to save or if its the final addition to a newly decorated room, however a new item has a perfect shape and style but we cannot deny that maybe a year later, the cushions could be lumpy, the fabrics can become wrinkled and crooked. This is the time you’ll realize that you should have known how to maintain your upholsteries to keep them looking good. Maintaining it does not take much effort and also does not cost much money. Let me explain how this really works and why you should do it. Fluff. As you know, the cushions are made from soft material. It is not made of concrete so you have to maintain their shape by fluffing it. Fluff means punching, poking, pushing and prodding the cushion around to maintain its comfort, shape, and loft. Pillows and cushion can be flat as you rest your body or head with it, drop large cushions on their ends, rotate them and repeat. Flip. Probably around every two weeks, you have to flip your cushion so the other side won’t be the one that is so much used. 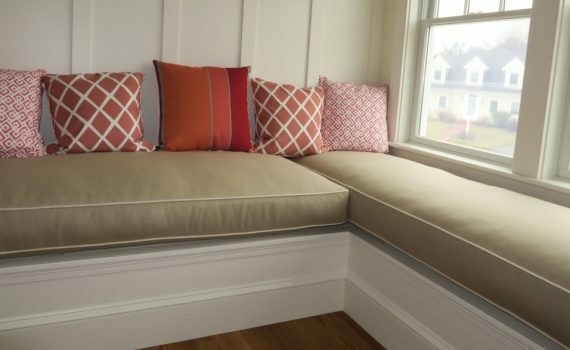 If you noticed that if you have a 3-seater sofa, the center cushion is the least used and least wear. You can regularly rotate the cushion positions to maintain it. Fuss. The cushions and upholsteries should be regularly vacuumed. It is not the comfort and shape that is maintained but also the cleanliness. You may not realize it but cushions can have so much dirt inside and can be itchy. Dusty cushion causes the fabric to wear more quickly because the dusts get into those fibers. These three steps will not make your sofa immortal but they will certainly help with the wear and tear and also the appearance or main furniture pieces. We love to pass on handy hints and tips, so if you have any you would like to share, drop us a comment we love hearing from you !